In this age of increasing immorality, cultural decadence, lack of spirituality and infiltration into Islam by corrupt sects each one claiming to be a beacon of salvation, the Imam Ahmed Raza Academy (South Africa) is calling upon Muslims to rise to the true glory and splendour of Islam following the pure and pristine teachings of the Ahle Sunnah Wa Jamaah, the majority group that will achieve Salvation. It is our responsibility to save our society from such wickedness and adopt the correct perspective of Islam based on the teachings of the Ahle Sunnah. Imam Ahmad Rida al-Qaadiri (alaihir rahmah) was a genius writer. He wrote numerous books and treatises in Arabic, Persian, and Urdu on diversified topics. Shayk ul Tariqat of the Qadiriyyah Sufi Order. 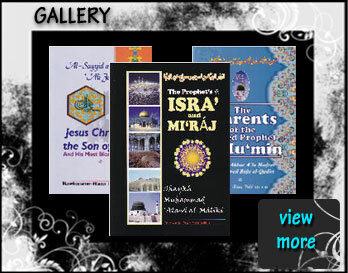 Translated, written and published more than 55 books on various subjects in English (e.g. Al-Malfuz al-Sharif, Siraajul Awaarif – Horizons of Perfection, Sirr al-Asrar - Secret of Secrets, ….) and is still dedicated to this arduous task.